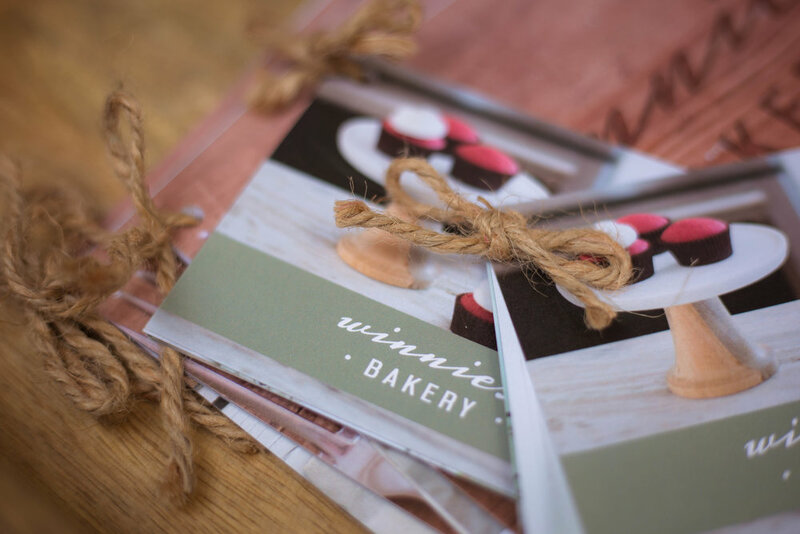 Elise, owner of WinniE's Bakery was referred to Christine by a former client for logo work, specifically a full re-branding of her young bakery. They spent a long time discussing her 5-year business plan, the main feature being a physical bakery and cafe and an assessment of the local market and her competitors. Her logo (and it's two variations) is designed to accommodate "Bakery & Cafe" once she fully expands. A lot of the inspiration for her branding came from her vision for her future cafe. 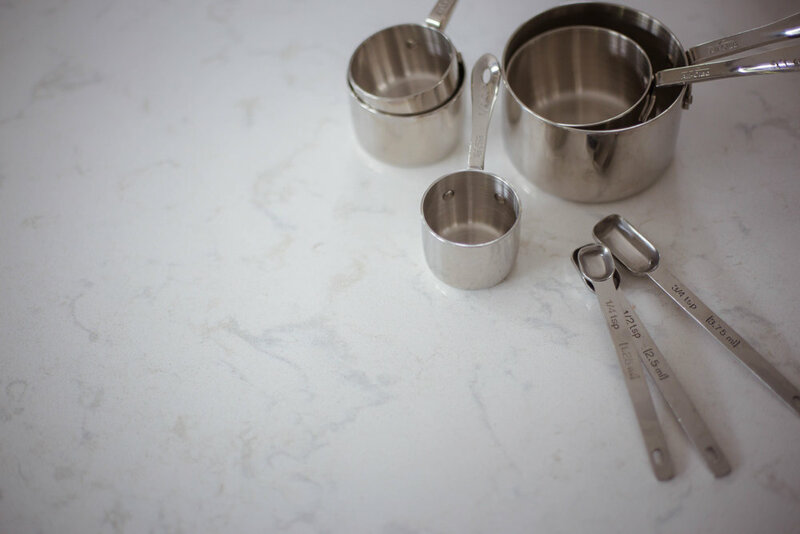 A strong emphasis is placed on natural colors that are used in bold extremes, a complementary clean modern look, and inclusion of natural materials and textures. One day this look will be at home in a cafe with worn wood floors, woven baskets full of freshly baked breads, and a warm dining area that encourages people to linger. Shortly after releasing this look Elise was featured in "My Big Fat Fake Wedding," a bridal show in Baltimore featuring one vendor in each category. With 200 couples in attendance, she had to make a strong impression. Instead of a standard flyer or brochure imploring a couple to set up a consult, Christine designed a 6-page booklet. 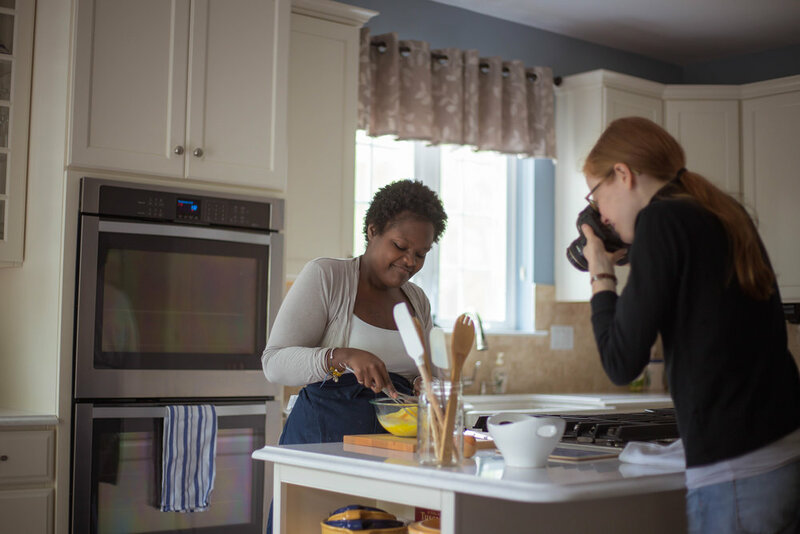 Featuring strong photography, and cake planning tips, Elise positioned herself as a resource as well as a vendor. Tied with a piece of twine, the booklet was a strong introduction to her brand as well as a natural conversation starter. While the booklet made a strong impression on the couples, it also caught the eye of the Editor-in-Chief of Baltimore Magazine. Within 2 weeks of the event, Elise was booked for a photo shoot with the Magazine and was featured in the following issue. 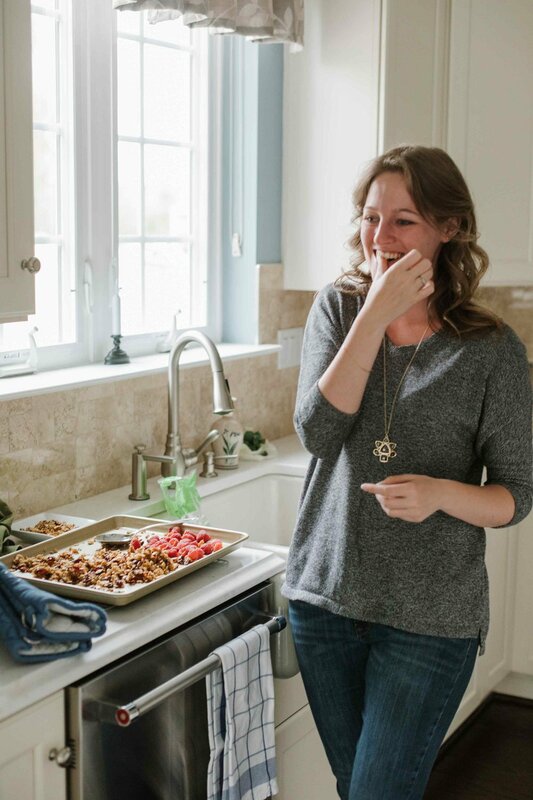 Since then she has seen an increase in wedding clients and was given the credentials to make connections with other local coffeehouses and vendors. 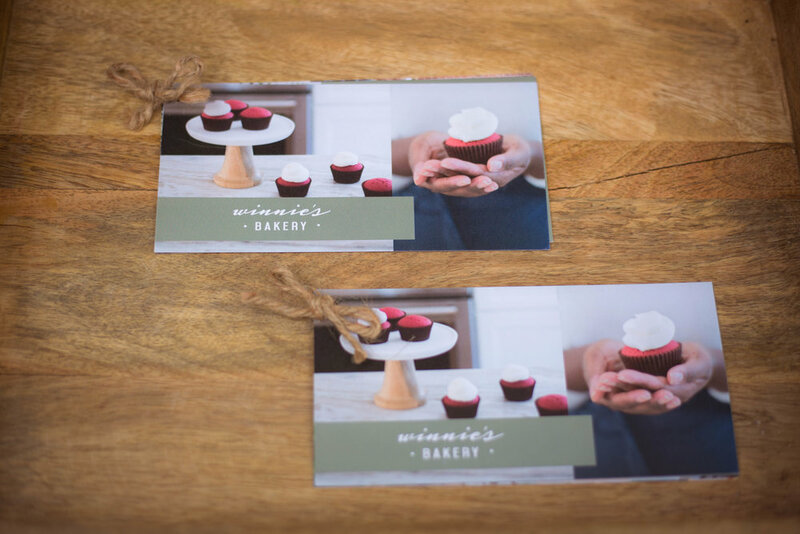 Her baked goods are now featured with 3 businesses with custom packaging designed by Christine. In addition to design work, Silver Orchard Creative acts as her personal marketing department. 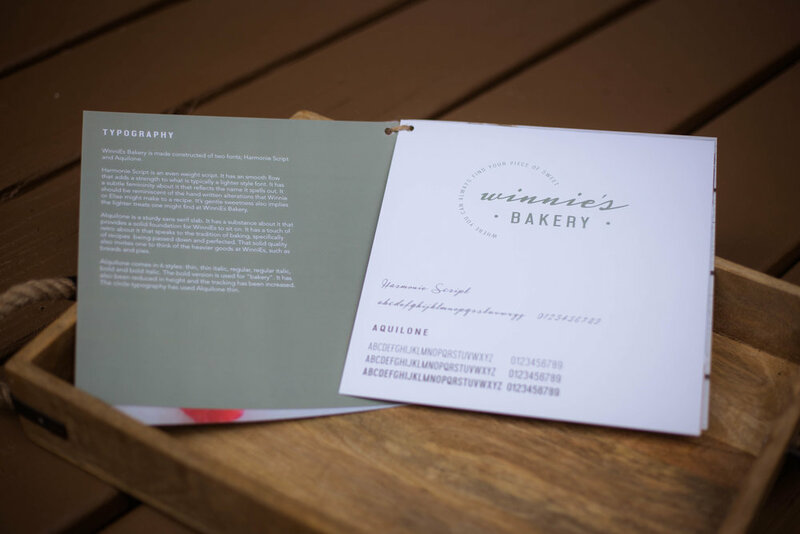 Christine is working with a web developer on expanding WinniE's Bakery brand to its websites. Christine also helps plan and style Elise's regular photo shoots so that the images can be used for Elise's recipie series and her own marketing needs. Styling is an important part of photoshoots to ensure the photographer is always shooting, and that there are no erroneous details that might ruin a shot, all props are on brand, and that there is a wealth of images in various layouts the are suitable for sharing and design work.